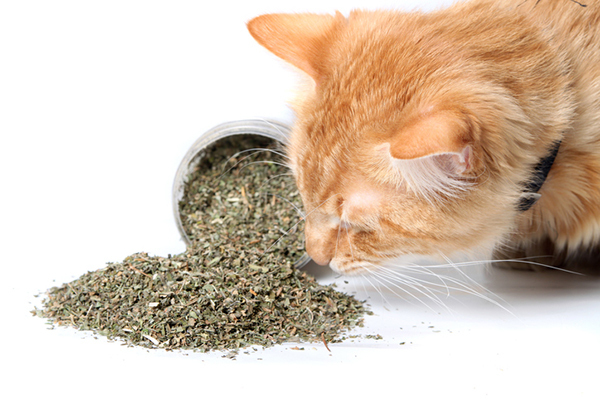 Have you ever wondered what is so special about catnip that makes cats go crazy? With over 250 species, this fragrant natural plant from the mint family contains an oil that releases pheromones which gives our kitties a sense of euphoria or extreme happiness. Also known as catmint or catswort, catnip is not only for domestic felines but big cats too. Note: when a cat eats this green stuff, it acts as a sedative. In order to see your cat in their euphoric state – they must smell it. However, only about 50% cats are actually affected by catnip. The others, well, they just don’t care. What does catnip do to your cats? Do you have any funny stories? Share with us in the comments below! Read more about how catnip came about and what other effects it has on our furbabies here.